If would like further information about Tangalooma Island Resort including media kits, story ideas, fact sheets or brochures, you can also contact us to receive our latest media releases via email. 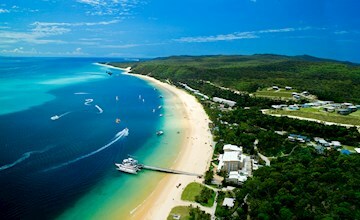 Tangalooma Island Resort celebrates 30 years of whale watching with a splash! 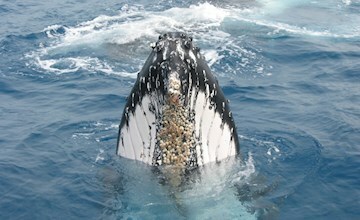 There is also an estimated 28,000 whales expected to pass by Moreton Island this winter! Tangalooma Island Resort has been featured alongside Australia’s most stunning landscapes and locations in a new in-flight safety video unveiled by Qantas Airlines this week. Crowds at the evening dolphin feeding program at Tangalooma Island Resort offered rounds of applause last night as the experienced team performed another successful dolphin rescue. It was a case of love all for world number two tennis player Roger Federer and Tangalooma’s wild dolphins when they met prior to the start of this year’s Brisbane International. The 10-year old new mum last Friday night appeared in rough water with her new offspring in tow. Tangalooma Island Resort is open for business, unscathed by the effects of floods that this week inundated parts of Brisbane City. 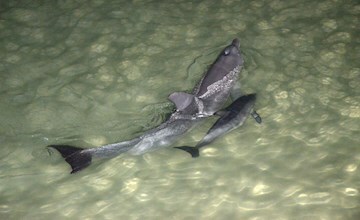 Tangalooma’s internationally renowned wild dolphin family welcomed a new calf last night with proud mum Tangles introducing her first offspring to a crowd of delighted onlookers.